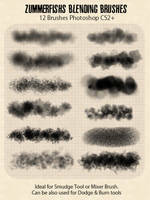 Just an another brush set for Photoshop. 1) Just extract the zip file wherever you want to. 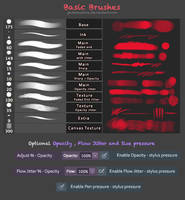 2) Open your PS work. 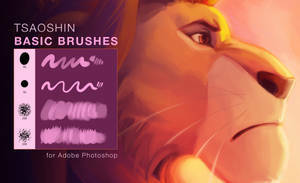 3) Go to the selection of brushes with right-click or on the menu-bar to the top and click on the arrow to the right. 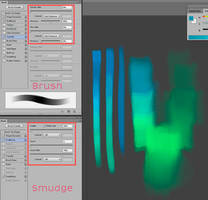 4) Click on "Open Brush..." and search your file, the brush will appear in the brush list. Thanks to for this update! 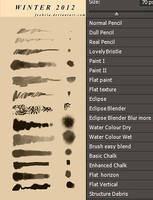 1) Just extract the .abr file of the ZIP in the folder "C: Program Files (x86)GIMP/Brushes". 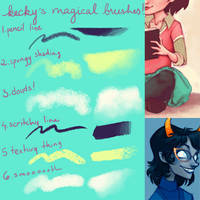 2) Open your GIMP and it will works!. Thanks for the "pencil ware"!! Oooh, I was after this! Thank you so much for producing them! Grazie! Sopratutto per il GIMP. Sono bellissimi Nari, grazie infinite!! 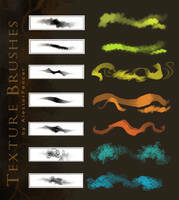 These brushes are fantastic, thank you for making them and sharing with everyone. 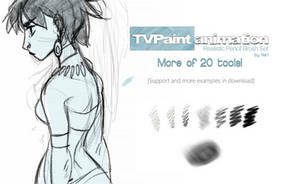 I got PS CC. is it work? Amazing!!! 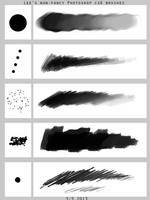 There was a 2b brush tool in photoshop, but it's no match for these! 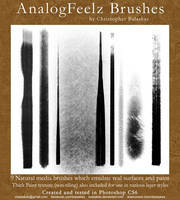 Oh, and shall I credit you when I use them for my artwork? 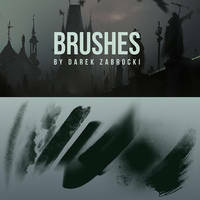 Those brushes are INCREDIBLE. 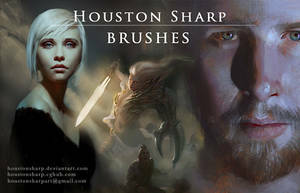 They reproduce the pencil feel like I've never seen before, and are so easy to work with. 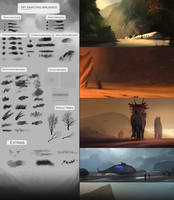 Great job, and thank you so much for sharing them! 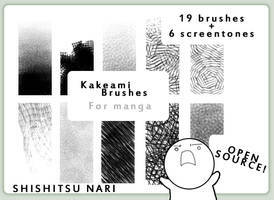 Thank you for these nice brushes! This is absolutely perfect! Thank you very much. <3 Thank you! Good Work! Da poco ho iniziato a provare i tuoi pennelli.. Finora non mi trovavo proprio bene a fare lineart in digitale, ma con questi pennelli dal sapore così tradizionale è davvero una svolta __ Sono fantastici, sul serio, grazie mille per averli messi a disposizione! Ow, la cosa mi rende felicissima! Io (non per farmi pubblicitàxD) ormai disegno solo con quelli, non so dirti esattamente come ho fatto a farli uscire così, ho sistemato qua e là e alla fine mi ci trovo bene! Non c'è niente di male a farti pubblicità, vista la qualità di tutto quello che produci E poi ripeto, è molto generoso da parte tua mettere a disposizione gli strumenti che usi tu! Sì, li uso tanto per ripulire le matite, la differenza si nota solo se li usi spesso!